Housed at the University of Virginia’s Contemplative Science Center, Dalai Lama Fellows cultivates and supports a global movement of next generation leaders integrating contemplative work with social innovation to solve global challenges in locally adapted ways to promote human flourishing. We all share a vision for our common humanity, and a love for our own localities, communities, and cultures, but somehow we’ve overemphasized profit, growth, and organizational metrics over wellbeing and deep interconnection with others and the worlds in which we are embedded. We seek to broaden and deepen emerging leaders’ perspectives on what’s best for both their communities and the world as a whole now and for generations to come, calling on them to think and behave differently, and to seek realistic, innovative, integrated and expansive ways to address local and global challenges in interconnected manners. The Contemplative Science Center's mission is to explore contemplative practices, values, ideas, and institutions historically and in contemporary times to better understand their diverse impacts, underlying mechanisms, and dynamic processes through analytical research and scholarship, as well as to help develop new applications and learning programs for their integration into varied sectors of our society. With UVA’s vast network across the university, and through that, across the nation and world, that we can draw upon to support you in various ways. These include faculty, student, staff, and alumni. what does reimagined leadership look like? There are many leadership models that prescribe new ways of leading, such as Adaptive Leadership, Servant Leadership, and Transformative Leadership. We do not intend to create another leadership model. Instead, we provide leaders the skills and practices to lead in any circumstance using their Head, Heart and Hands and their inner values. Leaders embody and cultivate positive values. Leadership begins with the self. Exemplary leaders like Nelson Mandela, Martin Luther King Jr., Malala and the Dalai Lama cultivate strong personal practices to maintain their connection to themselves and others. The Dalai Lama advocates for mind training, and practices daily, despite a heavy travel schedule. We believe a strong foundation in practices that cultivate awareness and are rooted in a genuine compassion for the self and others is necessary to embody one's values. Leaders work for the benefit of our common humanity. Every person in a position of leadership, regardless of sector, must realize how his or her actions impact communities and societies, both directly and indirectly. 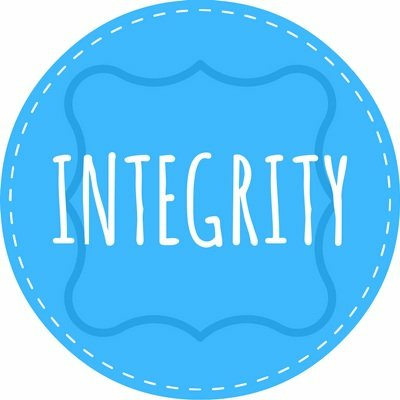 Leaders must have the integrity, courage, humility, ambition and resilience to stand up to and take accountability for violence, corruption, abuse, inequity, bias and indifference. Leaders must connect deeply across perceived differences and come together as one human family. Leaders build solutions now for a better future. Leaders can reinvent the future, heal our planet and ensure our survival. Leaders must develop their abilities to understand the bigger picture and think long-term. Only by taking the long view will leaders be able to discern the best course of action now towards achieving that better future. The Reimagined Leader is one who leads in community, working for the benefit of generations to come. Dalai Lama Fellows was founded in 2010, with the authorization and support of the 14th Dalai Lama (Read the Dalai Lama’s Authorization Letter), as an independent, secular and ecumenical organization. Beginning with a fellowship program, Dalai Lama Fellows has become a pioneer in integrating contemplative practices and universal values within programs for leadership and social change. The fellowship program has now grown to include more than 150 individuals across 40 nationalities, constituting an active global leadership network that serves as a continuing resource for human flourishing within next generation leadership. A strategic partnership in September of 2018 brought the Fellowship to the Contemplative Sciences Center (CSC) at the University of Virginia to ensure the DLF’s long-term sustainability and maximize our impact and reach. CSC is a leader in the field of human flourishing and contemplation and has been an important partner of DLF for the last four years including serving as host of the most recent annual Ethical Leadership Assembly in June 2018. We embrace and advance five core values as we conduct our work. We strive to be wholly honest and to have consistent alignment between our values and actions. We work in the interest of present and future generations because we are all connected and mutually dependent. We meet challenges with optimism, ingenuity, flexibility and grace. (Humility + Ambition) We live the questions rather than presume the answers, and ground social change with respect for others. We have strength to take action for moral reasons, despite doubts, fears or risk of adverse consequences.